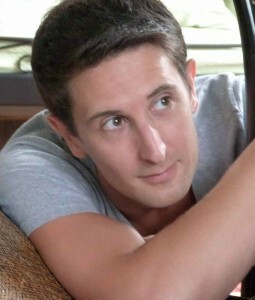 Aleksi Barrière was born in 1989 in Paris. He discovered theatre as an interdisciplinary art form while working on various performances as an actor, dramaturge and assistant with stage director Sarah Méadel, with whom he later co-directed his first show, Ionesco’s The Lesson, in 2006. At that time he also started working as a translator of drama (including Shakespeare’s A Midsummer Night’s Dream into French), a stage-borne approach to text that has since then remained central to his protean activities. While studying philosophy (at the Sorbonne University), then stage directing and scenography (at the Theatre Faculty of Prague), he kept on gorging on various influences, by collaborating as an assistant with director Peter Sellars (Santa Fe Opera, 2008) and as a director and a scenographer with the multimedia art group Image Auditive, on a version of Alban Berg’s Wozzeck (Royal Festival Hall, London, 2009) and a staged video-concert (Miller Theater, NYC, 2014). Video as a medium is a defining part of his approach, both within his stage performances and in dedicated formats. 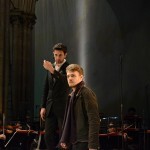 He has also accompanied as a dramaturge the making of a chamber version of Wagner’s Ring by the company T&M, under Antoine Gindt’s stage direction (European tour in 2011). His activity as a stage director unfolds on an international level: after various shows in Czech Republic, spanning from Elizabethan repertory to the theatre of Jean Genet and collective creations, he crafted a version of Kim B. Ashton’s opera the boy, the forest and the desert (Grimeborn Festival, London, 2011) and has been invited by such hosts as the National Conservatory of Music in Paris (La Voix humaine, 2013) and the READ Festival in Helsinki (Babel, 2014). But it is mainly within the company La Chambre aux échos, which he founded with conductor Clément Mao-Takacs, that he develops the original and committed forms of music theatre that are his main focus. Driven by works of the contemporary era and a craving for interdisciplinarity and porosity between forms and audiences, the collective has recently toured i.a. in Belgium, Croatia, Denmark and Poland, and its version of Kaija Saariaho’s La Passion de Simone (premiered in 2013) was performed in Norway and the US last season. In 2018 he will be a guest director at the Trap Door Theatre in Chicago and the Staatsoper Hamburg. As an author of both literary and theoretical texts, his output has been set to music by Kaija Saariaho, and he has written many articles for reviews (théâtres & musiques, Tempus perfectum, Music & Literature…), institutions such as the Paris Opera, and art books and catalogues. He is also active as a lecturer and teacher in various educational programs in schools and hospitals, an endeavor that is also key to the outreach philosophy of La Chambre aux échos. He collaborates as an artistic advisor to the programs of Clément Mao-Takacs’s ensemble Secession Orchestra, for which he has written many texts about music and the arts. 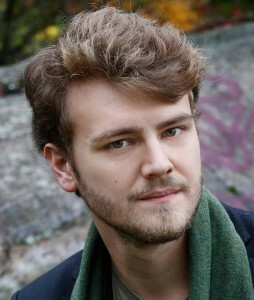 He has received scholarships from the Bayreuth Festival (2011) and the ENOA network (for workshops at the Aix-en-Provence Festival in 2010 and at the LOD in Ghent in 2012), and since 2015 from the Akademie Musiktheater Heute of the Deutsche Bank. He is currently writing a doctorate thesis about the work of Peter Sellars, and his commented anthology on the subject of theatre/music relationships is to be published by the Philharmonie de Paris. Clément Mao – Takacs is one of the young rising stars of the new generation of conductors. He graduated from the Conservatoire Supérieur de Musique et de Danse de Paris and the Accademia Chigiana in Sienna, is a laureate of the Bayreuth Festival and in 2008 he was awarded the Prix « Jeune Talent » by the Fondation del Duca (Institut de France / Académie des Beaux-Arts). In 2013, he was the first conductor laureate of the Fondation Cziffra. He started his career as conductor at a very early age –quite literally a calling– as he conducted his first concert at only 15 in Salle Gaveau (Paris). After completing his studies, he became Janos Komives’s assistant at the National Opera of Budapest (2002) and for several productions and recordings in France (2001-2003). He was then signed in by Gianluigi Gelmetti, musical director of the Roma Opera, and became his assistant for five years (2003-2008). In the same years he also became the musical director (2004-2010) of Orchestre Sérénade. He has been invited as a guest conductor by the Camerata Strumentale “Città di Pratro”, the Orchestras of the CNSMDP, the Festival Orchestra of Sofia, the ensembles Aquilon and Initium. Since 2015, he is collaborating with Avanti! Chamber Orchestra. In late 2016, he conducted the Orchestre Symphonique de Bretagne and make his American debut in New York City with ICE Ensemble. For the next season (2017/2018) he was invited to conduct the Bit 20 Ensemble, the Orchestre des Pays de La Loire, the Odense Symphony, the Stavanger Symphony, the Norwegian Radio Orchestra of Oslo and the Oslo Philharmonic –both for concert and recording with this orchestra. In 2011 he founded SECESSION ORCHESTRA, in which he serves as both artistic and musical director. Immediately acclaimed for its excellence and cohesion, Secession Orchestra has played several concerts in France and in Europe. Apart from its season of symphonic concerts in Paris, SECESSION ORCHESTRA also often performed with actors including Charles Berling, Didier Sandre, Antoine Duléry, Julie Depardieu, Brigitte Fossey, Michel Fau and singers – Stéphane Degout, Elsa Dreisig, Marion Lebègue, Thomas Hampson… In 2013/2014, SECESSION ORCHESTRA premiered and toured in Europe the chamber version of La Passion de Simone (Kaija Saariaho). They opened the 2015 edition of the Festival de Deauville with a critically acclaimed Webern/Wagner/Mahler triple-bill; in 2017, they have performed at the Festival Présences in Radio-France, twice at the Auditorium du Louvre, and at the Auditorium du Musée d’Orsay. Since 2014, they enjoy artistic residencies in Fondation Singer-Polignac, Festival de Saint-Denis and Fondation Royaumont. Since 2017, SECESSION ORCHESTRA received the support of ADAMI. Clément Mao – Takacs’s technical craftsmanship, broad knowledge of the repertoire and artistic standards are unanimously acknowledged and appreciated, in both the classical and the contemporary repertoires, especially in the pivotal 1850-1950 period to which he has given much focus. He is the dedicatee and first performer of many works (Bargielski, Ballereau, Komives, Feldman, Sikorski, Svensson, Letouvet, Adams, Bonfill, Vestergård, O’Hare, Ottander, Tarnanen, Stubbe-Tejbjaerg, Motsch, Mu-Xuan Lin, Vincze, Ashton, Lang, Sciarrino, Koskinen, Thorvasldottir, Abrahamsen…). As a specialist of Kaija Saariaho’s music, he has conducted the world premiere and many national premieres of La Passion de Simone’s chamber version, in festivals such as Melos-Ethos (Bratislava – Slovakia), Codes (Lublin – Poland), the Festival de Saint-Denis and at the National Theatre of Clermont-Ferrand in France. He conducted it also in Copenhagen in 2016, alongside the iconic masterpiece Lichtbogen and the Danish premiere of the concerto Notes on Light, also programming on a regular basis other works by the same composer (Novalis Festival, BOZAR Opening Night). In 2016/2017, he conducted her music (La Passion de Simone with La Chambre aux échos & ICE Ensemble ; Vers toi qui est si loin with soprano Susanna Phillips) in New York City and at the festival Présences of Radio-France, performing with soprano Marisol Montalvo the world premiere of the chamber version of Quatre Instants that Mrs Saariaho dedicated to him. In 2018, he will conduct eight times her concerti Aile du Songe, and Graal Théâtre –and will record the latter with her major piece Circle Map for BIS Records label. He conducts as enthusiastically and fondly the classical repertoire (Mozart, Beethoven, Schubert, Brahms…) and his favourite period running from the end of the 19th century to the heart of the 20th (Wagner, Mahler, Debussy, Ravel, Bartók, Strawinsky). In all types and genres of music, he is most devoted to musical architecture, to the clarity of orchestral textures and to serving each composers’ musical world and style. He also has a particular interest in cross-disciplinary encounters. Always looking for new artistic forms, he enjoys friendly collaborations with many actors and directors who operate in various aesthetics, first and foremost Aleksi Barrière with whom he founded and runs the collective La Chambre aux échos. The operatic repertoire is of the uppermost importance for this lover of literature and drama, who thinks of opera as a privileged setting for intense collaborations. Clément Mao-Takacs recorded Stockhausen’s Adieu (Crystal Classics) and a disc of Jacques Ibert’s music (Timpani) which was awarded ‘5 diapasons’ by DIAPASON magazine. His next CDs will be focused on Debussy, Zemlinsky, Berg and Saariaho. He has also created and ensures the artistic direction of two festivals: INTERVALLES (Paris), and TERRAQUÉ (Carnac, Brittany). Clément Mao-Takacs is also pianist (Rising Star ECHO Tour 2015) and composer.